Florida FIRST Tech Challenge - statewide website run by our Affiliate Partner, Hans Wolf. Tec Network - FTC networking resource. 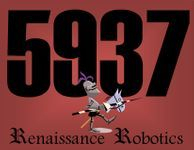 Renaissance Robotics hosts google hangouts on this. Tetrix hex driver sizes - 7/64", 3/32", 1/16", 5/64"
Actobotics hex driver sizes - 3/32", 7/64"
JMS 3d Printing - you design, they'll print at a reasonable cost!